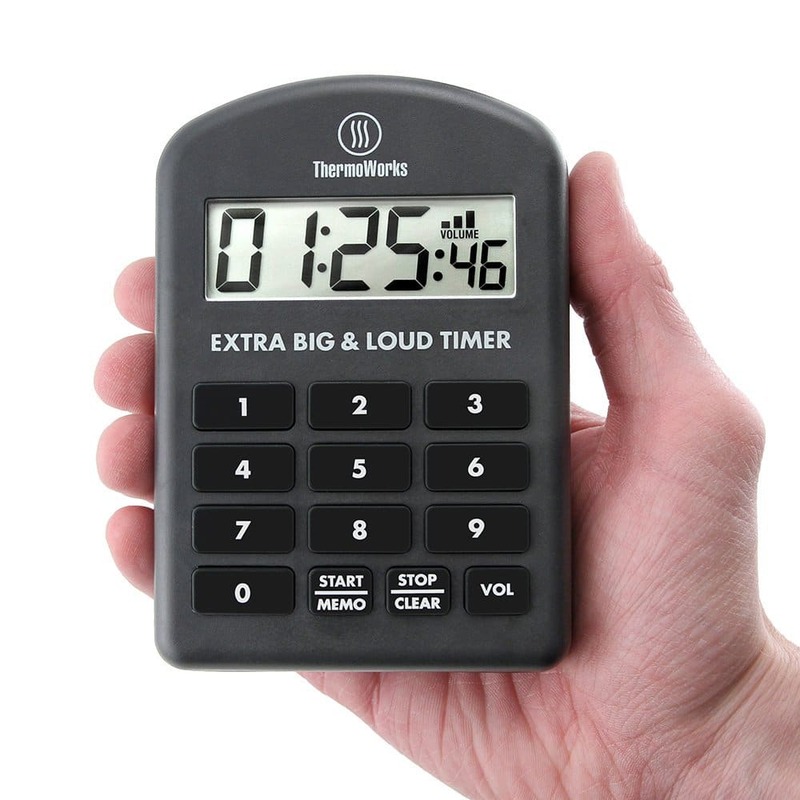 ThermoWorks Extra Big and Loud Timer | The Perfect Steak Co. | The Perfect Steak Co.
Re-invented by ThermoWorks, this all-new version of our popular Extra Big and Loud Timer includes many improvements important to commercial customers. To start we cranked up the volume to 110 decibels to get your attention even in a noisy kitchen or on the plant floor. Choose from four volume settings. 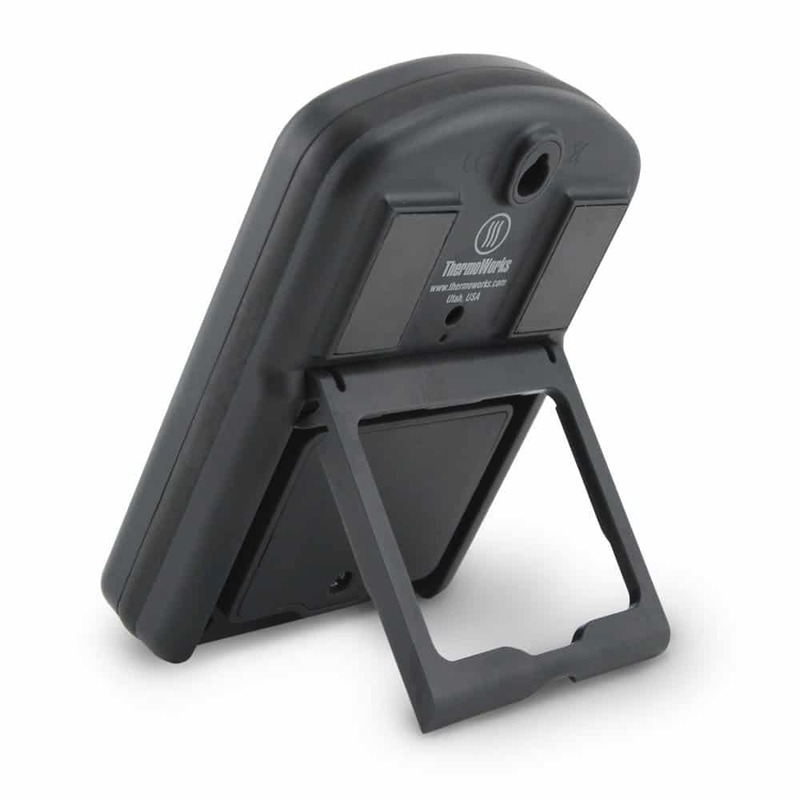 The rugged housing includes molded-in seals and rubber buttons to survive years of daily use with wet fingers. 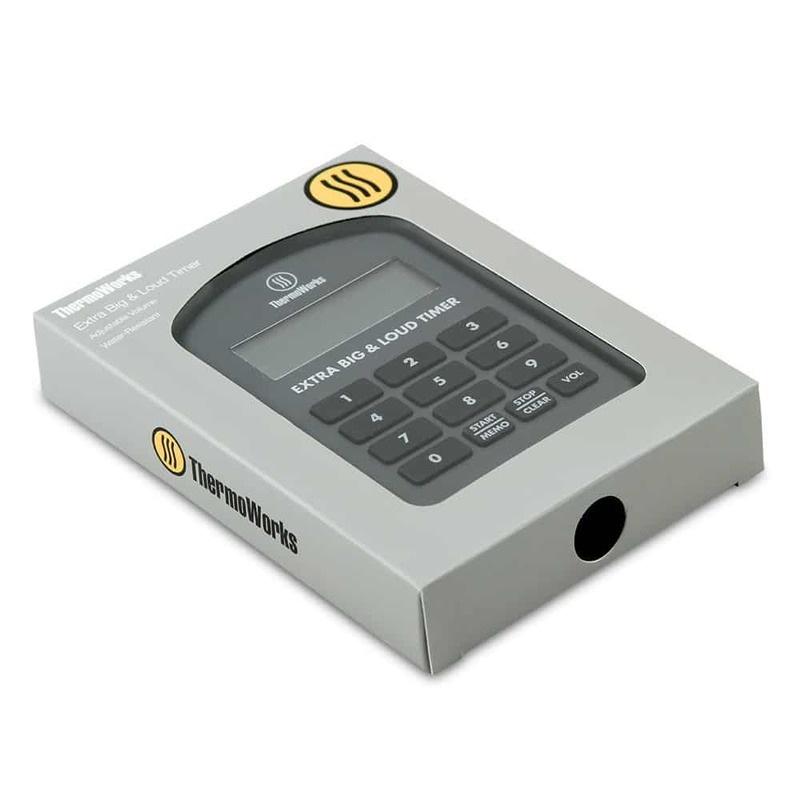 Set time quickly on the numeric keypad. No tedious up/down or scrolling buttons that run past the number you want. New and stronger magnets grip the timer to a metal surface. A flip-out tilt stand is great for counter tops and a keyhole mounts the timer on a screw. We added a count-up function to track time after the alarm sounds or for timing an event from zero. The memory keeps your last count-down setting. Big digits are legible at a distance. 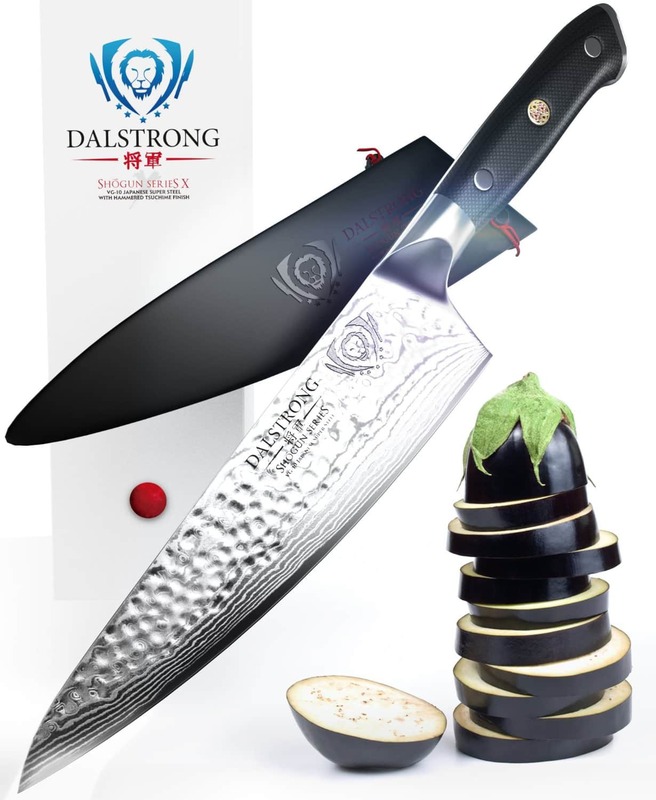 Foodservice, industrial plants, schools and labs need not be stuck with whimpy dime-store timers. This is a true professional time instrument. 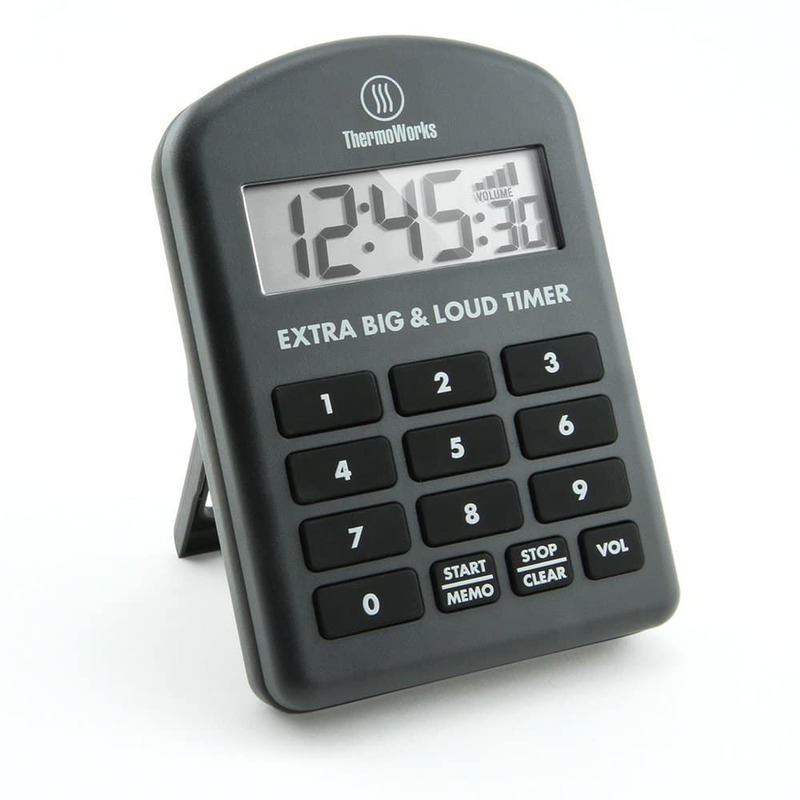 Get the Extra Big and Loud Timer by ThermoWorks and you’ll know when time is up, even if you’re in the other room!